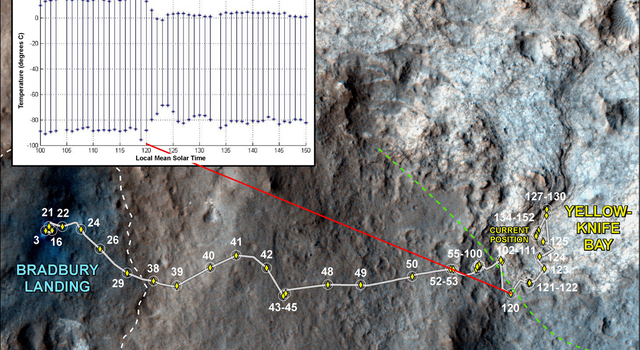 PASADENA, Calif. -- NASA's Mars rover Curiosity is driving toward a flat rock with pale veins that may hold clues to a wet history on the Red Planet. If the rock meets rover engineers' approval when Curiosity rolls up to it in coming days, it will become the first to be drilled for a sample during the Mars Science Laboratory mission. 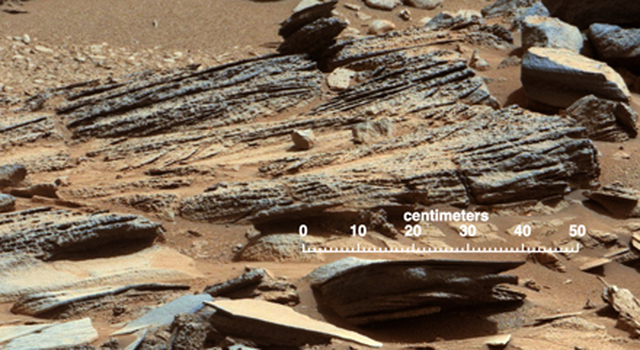 The size of a car, Curiosity is inside Mars' Gale Crater investigating whether the planet ever offered an environment favorable for microbial life. 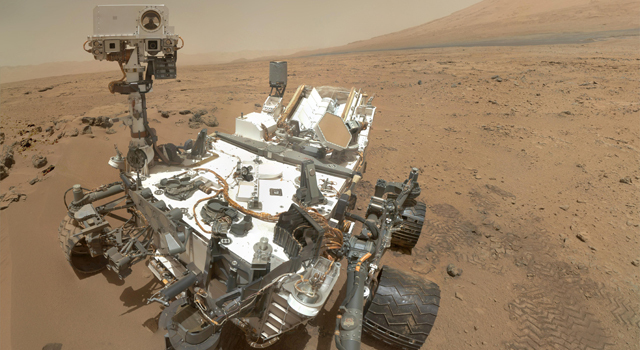 Curiosity landed in the crater five months ago to begin its two-year prime mission. "Drilling into a rock to collect a sample will be this mission's most challenging activity since the landing. 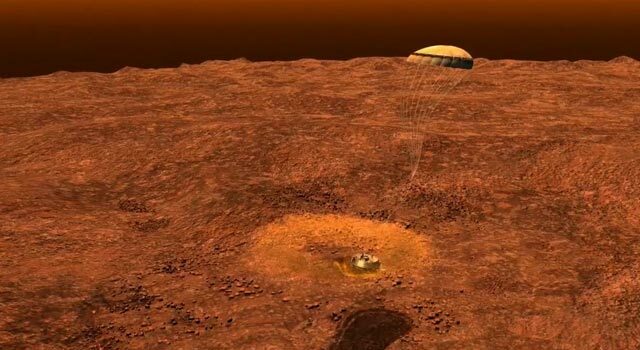 It has never been done on Mars," said Mars Science Laboratory project manager Richard Cook of NASA's Jet Propulsion Laboratory in Pasadena, Calif. "The drill hardware interacts energetically with Martian material we don't control. We won't be surprised if some steps in the process don't go exactly as planned the first time through." 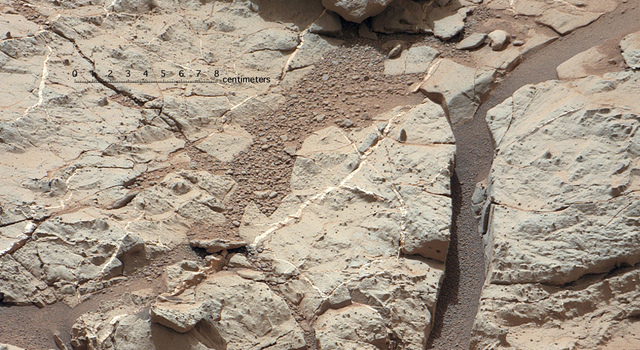 Curiosity first will gather powdered samples from inside the rock and use those to scrub the drill. Then the rover will drill and ingest more samples from this rock, which it will analyze for information about its mineral and chemical composition. 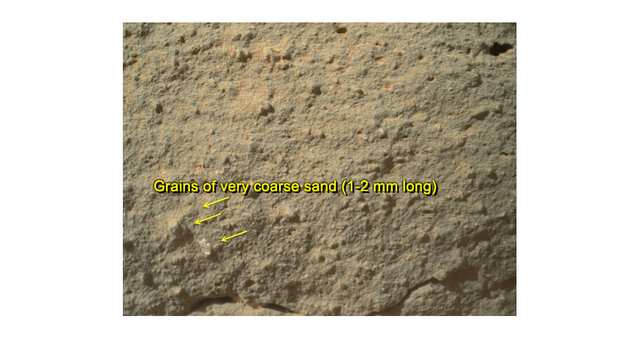 The chosen rock is in an area where Curiosity's Mast Camera (Mastcam) and other cameras have revealed diverse unexpected features, including veins, nodules, cross-bedded layering, a lustrous pebble embedded in sandstone, and possibly some holes in the ground. The rock chosen for drilling is called "John Klein" in tribute to former Mars Science Laboratory deputy project manager John W. Klein, who died in 2011. 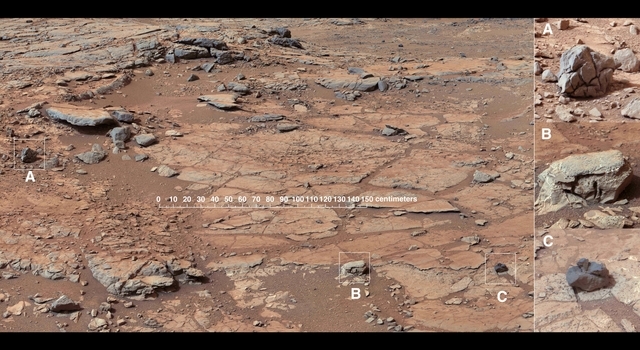 "John's leadership skill played a crucial role in making Curiosity a reality," said Cook. The target is on flat-lying bedrock within a shallow depression called "Yellowknife Bay." The terrain in this area differs from that of the landing site, a dry streambed about a third of a mile (about 500 meters) to the west. Curiosity's science team decided to look there for a first drilling target because orbital observations showed fractured ground that cools more slowly each night than nearby terrain types do. 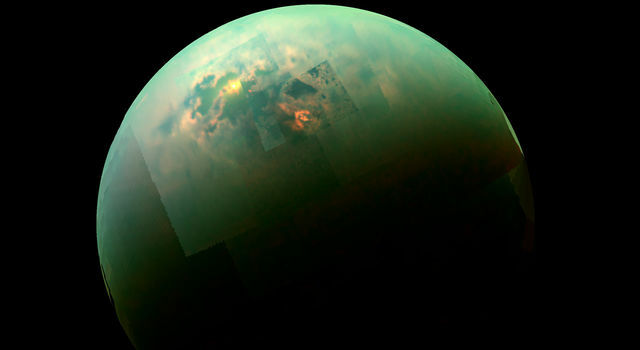 "The orbital signal drew us here, but what we found when we arrived has been a great surprise," said Mars Science Laboratory project scientist John Grotzinger, of the California Institute of Technology in Pasadena. "This area had a different type of wet environment than the streambed where we landed, maybe a few different types of wet environments." 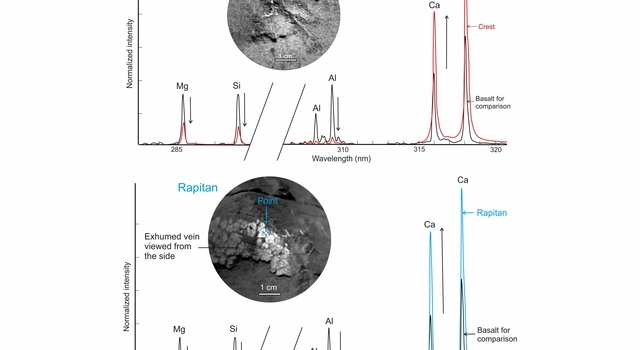 One line of evidence comes from inspection of light-toned veins with Curiosity's laser-pulsing Chemistry and Camera (ChemCam) instrument, which found elevated levels of calcium, sulfur and hydrogen. 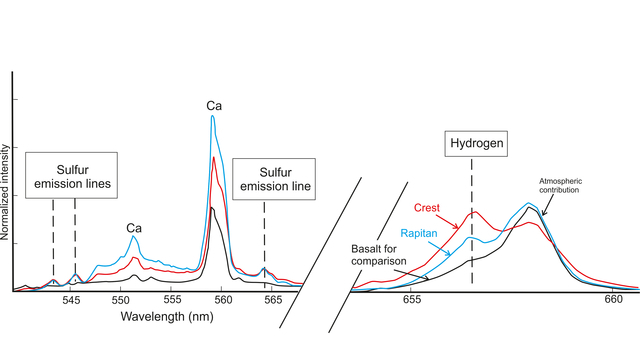 "These veins are likely composed of hydrated calcium sulfate, such as bassanite or gypsum," said ChemCam team member Nicolas Mangold of the Laboratoire de Planetologie et Geodynamique de Nantes in France. 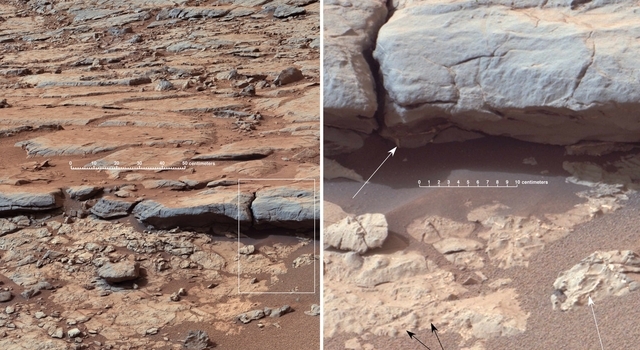 "On Earth, forming veins like these requires water circulating in fractures." 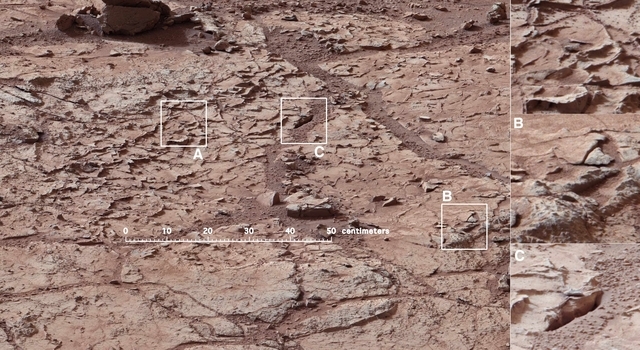 Researchers have used the rover's Mars Hand Lens Imager (MAHLI) to examine sedimentary rocks in the area. Some are sandstone, with grains up to about peppercorn size. One grain has an interesting gleam and bud-like shape that have brought it Internet buzz as a "Martian flower." Other rocks nearby are siltstone, with grains finer than powdered sugar. These differ significantly from pebbly conglomerate rocks in the landing area. 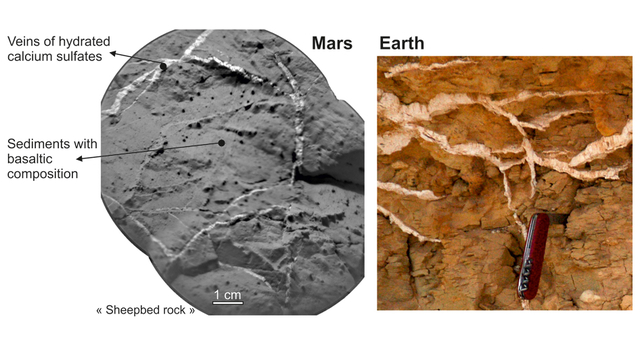 "All of these are sedimentary rocks, telling us Mars had environments actively depositing material here," said MAHLI deputy principal investigator Aileen Yingst of the Planetary Science Institute in Tucson, Ariz. "The different grain sizes tell us about different transport conditions." JPL, a division of Caltech, manages the Mars Science Laboratory Project for NASA's Science Mission Directorate in Washington. 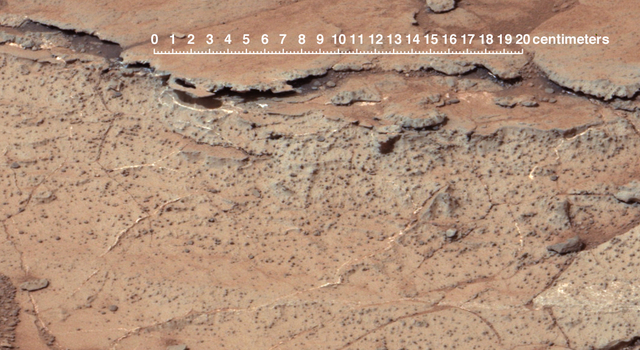 To see an image of the rock, visit: http://www.jpl.nasa.gov/spaceimages/details.php?id=PIA16567 . For more information about the mission, visit: http://www.jpl.nasa.gov/msl , http://www.nasa.gov/msl and http://mars.jpl.nasa.gov/msl . Follow the mission on Facebook and Twitter at: http://www.facebook.com/marscuriosity and http://www.twitter.com/marscuriosity .